I am sorry to say I am not well-versed in the Sherlock canon, having only read The Hound of the Baskervilles; however, I’m aiming to change that by reading The Complete Sherlock Holmes: Volume I. I’ve recently finished A Study in Scarlet and am now devouring The Sign of the Four. The latter begins to delve further into the person who is Sherlock Holmes (aside from his public persona as detective), and opens with a description of long, white, nervous fingers injecting a puncture-marked arm with a hypodermic needle filled with a seven percent solution of cocaine. Holmes feels much better afterwards; the cocaine, he says, stimulates him when the world does not (as in: when he does not have a perplexing case to solve). “I cannot live without brain-work. What else is there to live for?” he laments, during a rare repose. Such is the common malaise of the highly intelligent being. Sherlock christens cocaine as the elevated signifier of genius-level brain abilities: highly productive, highly productive when high, highly intelligent, requiring to be constantly stimulated… These antihero tendencies are played upon by Dr. Thackery (Clive Owen) of Steven Soderbergh’s The Knick, which returns for its second season this October. I couldn’t help but notice the striking similarities between the two characters. The first is that they herald from a similar timeframe, Sherlock from the late 1890s to the 1910s, and Thackery in the early 1900s. The second is that both men spend their time solving mysteries: the former has his hand in mysteries concerning crimes, while the latter deals with surgical mysteries – he invents the surgeries that have never been done before. The third is that both men can be challenging to work with, at times, because none of their companions or coworkers are privy to their sophisticated level of information, and usually they are in such a rush to solve the predicament at hand that they cannot disclose their enlightened findings until everything is over and done with. The fourth is their shared love for cocaine. 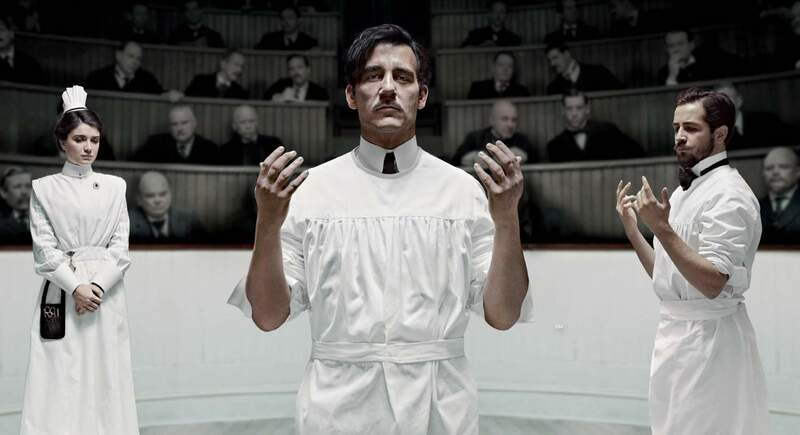 John Thackery is an ingenious surgeon who will rise to infamy in the early part of twentieth century. He works at the Knickerbocker teaching hospital in New York City, known for its experiential surgical procedures. Thackery is an enigmatic, short-tempered, highly particular man who is able to research, work, and experiment from dawn til dusk and dusk til dawn on soon-to-be-canonical surgery procedures. His ambition and its resulting, wildly impressive overachievement is thanks to the wonder-stimulant called cocaine. However, his demise becomes imminent when the drug begins to override his genius antics, and instead of aiding him in his work, it starts to become his master. We leave Thackery at the end of season one on a hospital bed in a recovery center, where the thought is that he will begin a detox program. Suffering from horrific withdrawals, we catch a glimpse of his bedside table through his blurry vision, and we see the common medicine used to help assist in the process of detoxing from cocaine in the early 1900s: heroin. If you are a Sherlock fan, Thackery is perhaps a Sherlock who is equally ingenious but has a greater tendency for the dark depressive episodes, and he is more inclined to indulge himself when he falls into these crevasses of despair. We will see if heroin becomes his second vice.